On November 15th, Rich and I packed up and left western Massachusetts as planned. After being in New England for 6+ weeks, packing up felt like moving all over again. I guess that’s part of the vagabond lifestyle. At the same time, we felt that we’d been in the Northeast long enough, and it was definitely time to move to warmer climates. 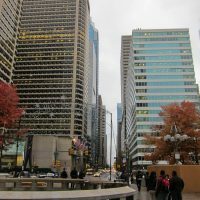 We survived our trip past New York City and over the George Washington Bridge, and arrived at a newish Quality Inn Motel just north of Philadelphia, with plans to visit the city and tour independence hall the following day. We found a local diner down the street and enjoyed a tasty meal. 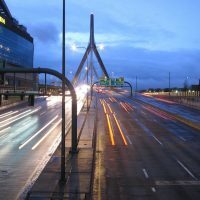 We’ve seen a lot of diners in our Northeast travels, and have an appreciation for their reasonable prices, extensive menus, and the architectural history they bring to the roadsides of America! 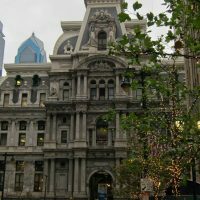 The next morning we drove into the heart of downtown Philadelphia with fog and rain hovering overhead. As in most northeast cities, downtown parking is incredibly expensive, but we bit the bullet in a parking garage for $27 (ouch!). We later realized we could have taken street parking and saved about $20. That being said there’s a tradeoff in safety, and our car has plenty of valuable stuff in it, so perhaps still worth it to use a garage? 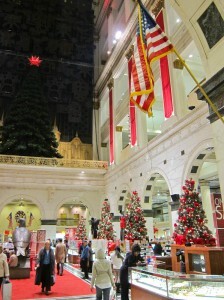 Our first stop was the unlikely Macy’s Center City. I say unlikely because we weren’t shopping. 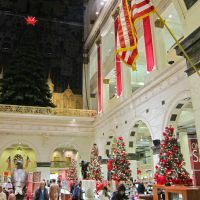 However, Rich’s mom recommended that we visit the store as this particular Macy’s started out as family-owned Wanamaker’s Department Store, which opened in 1877. John Wanamaker was very successful, and had the original building replaced in 1910 with the one that stands today. 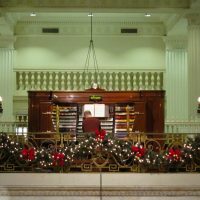 It’s designed in opulent Florentine architecture and holds the distinction of being one of the first department stores in the U.S.
Mr. Wanamaker also purchased and installed an impressive pipe organ from the St. Louis World Fair, which is now dubbed the Wanamaker Organ . After several expansions, it is the largest operating pipe organ in the world! Wikipedia has a great write-up about the Wanamaker Organ, which you can read here. Macy’s offers daily recitals, where Organ is played for 45 minutes at Noon, and Rich and I arrived just in time to hear it. Music filled the grand courtyard which is held up by massive marble columns. When the 45 minute recital ended, we decided to find a place to eat, and headed down to Independence Mall. As we approached the expanse of green lawn at The Mall, we checked our phones for a place with vegetarian options. 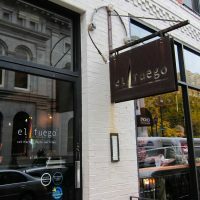 I figured Rich would want a Philly Cheesesteak sandwich, however he found a Mexican restaurant, called El Fuego, which promised authentic California-style burritos. 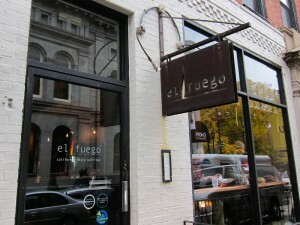 The food was excellent and just what we needed before heading out to the historic sites. 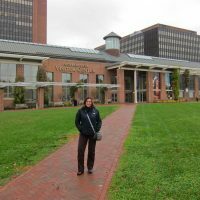 At the Visitor Center we obtained a pair of tickets for the Independence Hall tour. 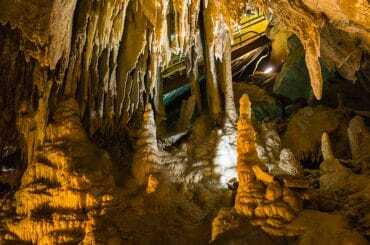 I love how tours like this are offered to the public at no cost. Before the tour we stopped and saw the Liberty Bell, which is housed in the glass-fronted Liberty Bell Center. 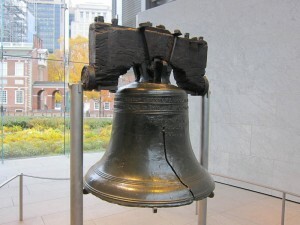 Despite much controversy, the U.S. National Parks Service constructed this building and moved the bell in 1976 during our bicentennial so that it could be better cared for and more easily viewed by the public. 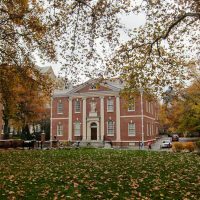 The Center shares background on the Liberty Bell’s history on wall-sized metal plaques in a modern, museum-like setting. The Liberty Bell is displayed proudly at the end of the long walkway, and is smaller than I’d expected. The famous crack is prominent, and I understand it’s still a mystery as to how it happened. 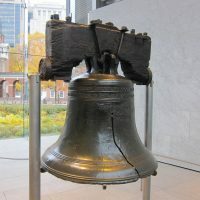 While the actual historic significance of The Liberty Bell is a bit foggy, the Symbolism and history behind it is awe inspiring. 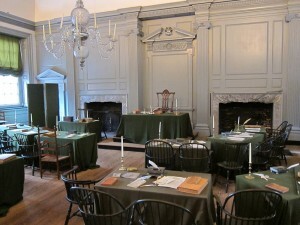 We then headed over to Independence Hall, which sits at the base of The Mall. It is surrounded by a green park, walkways, large trees, flowers, and other historic buildings. The building dates back to 1732, so it’s no wonder that the facade was being restored at the time we visited. Scaffolding covered the front and we were amused by the full-sized mesh covering used to disguises the scaffolds, as it was printed to look like the original brick front. 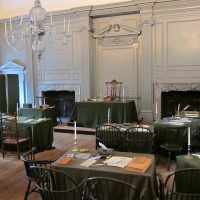 The Independence Hall tour began in the East Wing, where an engaging and well-informed National Parks Ranger shared an overview of the building’s extensive history with us. Then we went into the famous Assembly Room – where a number of significant U.S. historical events took place. 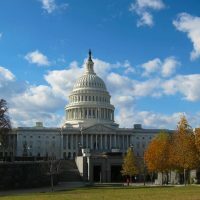 Among them was the adoption of the Declaration of Independence and the drafting of the U.S. Constitution. After the tour we walked back to the car by way of Market Street, which was originally designed for farmers selling their wares. 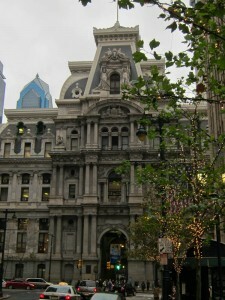 It was close to rush hour so we walked briskly past City Hall, a 580ft-tall Second Empire designed structure. I later learned that it took over 30 years to build it, starting in 1871. 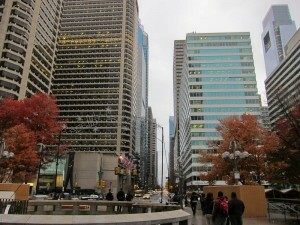 It’s also the world’s second tallest masonry structure, and was the tallest building in Philadelphia until 1984. A big part of the height of the City Hall is in a tower that unfortunately you can’t see in our photo. We play a game in most cities we visit, where we try to describe the place’s feel or personality in a word or phrase. The words that came to mind for Philly were ‘north-meets-south’. 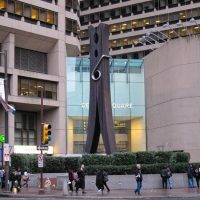 So we were pleased to later read on Wikipedia that “Philadelphia is considered part of the Northeast region, but shares the character of many southern cities.” We know we only saw a small part of what Philly has to offer, but we enjoyed it very much and look forward to returning again sometime. Until then, cheers! Thanks, Beth. Glad our post helps you want to go there. I really think you’ll enjoy it very much. 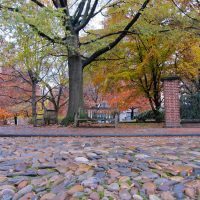 Everything historic is nicely laid out, much of it no cost, and in one location along that Independence Mall. Happy Holidays to you! I get to PA almost every year. Next time I must go to Philadelphia. We talked about it, but never ot there. Your pictures and descriptions make me want to see it. I dig the picture slide show at the bottom of your posts! I like viewing your tasteful photography. You are good at choosing a subject that is interesting to your audience and then framing it in a way that is artistic and pleasing to the eye. This makes looking at your photo galleries feel like looking at a personalized coffee tale book. It gives your site a “Richness” that is consistent with your name. Of course, this leaves me wanting for a gallery of past photos before you started adding them at the bottom of the posts. Indeed, a gallery that includes the pictures from your posts all in one place would be nice too.